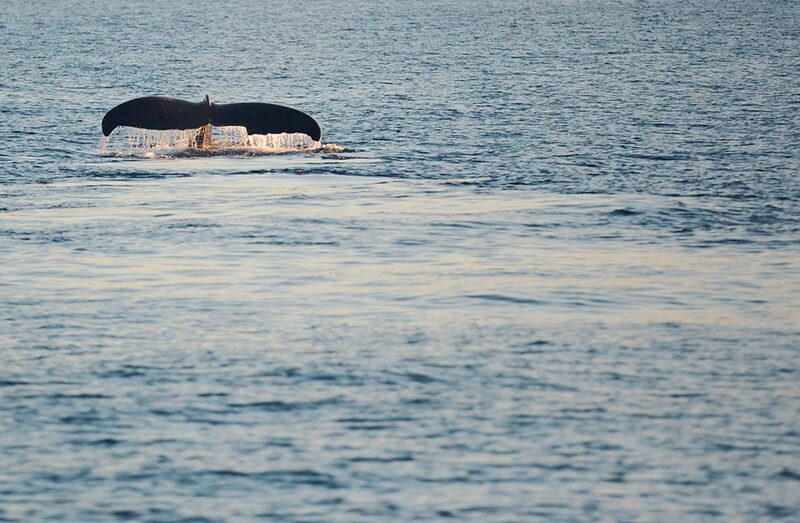 From now until early spring, our island is the prime locale for whale watching. Whether you prefer to take in the view from an Ocean Bungalow lanai or venture out snorkeling to hear the whale songs, we’ve got front row seat access. For guests that prefer the former option, we’ve got some new equipment that will take the views to a new level – brand new binoculars that can be checked out from our activities team. If you prefer to get closer to the action, we recommend taking some snorkel gear and heading to Hamoa Beach. 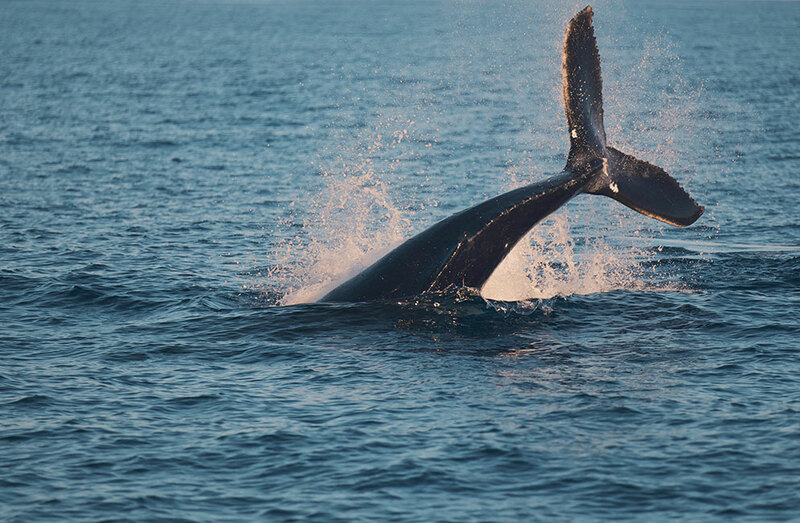 While you won’t see the whales from underwater, you will definitely hear them sing! And these majestic creatures are worth the wait! The whales you see migrate over 3,500 miles from Alaska to seek warmer weather in the Hawaiian Islands. Who doesn’t love to winter in Maui? The waters between Maui, Molokai and Lanai, known as the Auau Channel has been called one of the best whale watching destinations in the world. Below the surface, whales are teaching their young calves important motor skills away from natural predators for the journey back to Alaska, while older whales take this time to breed for next season. Both activities result in the beautiful visual we see above the water as they breach the ocean surface and soar into the air. 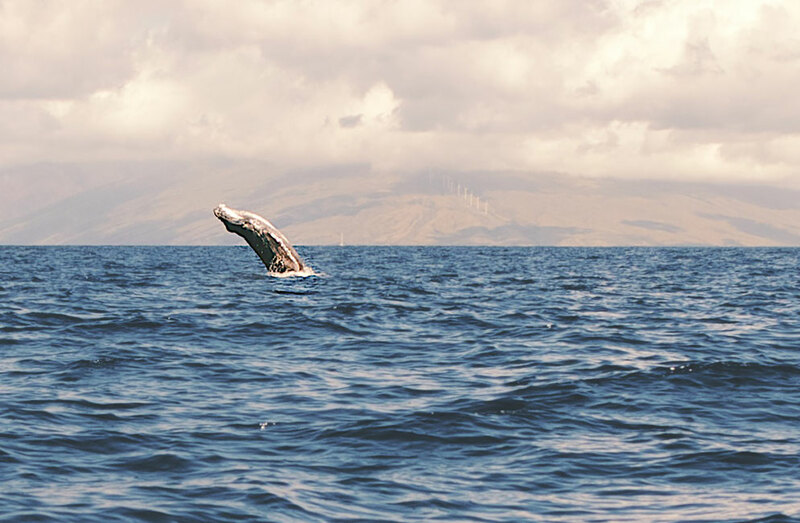 Legends, stories, and rituals featuring Kohola (whales) can be found throughout Hawaiian culture, with some artifacts found by archeologists dating back to early Polynesian era 1-600 AD. Today, biologists say Hawaii’s Kohola (whale) population is the largest, with the majority of their calves born here each year. 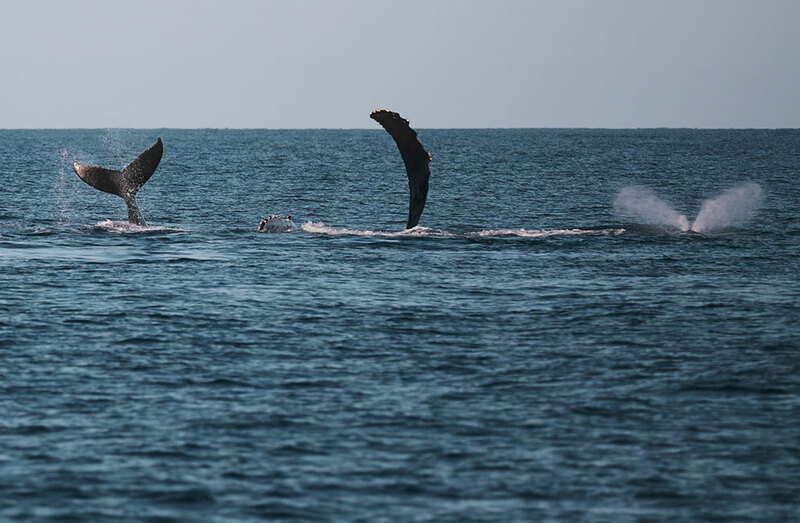 Thanks largely due to conservation efforts, the whale population is continuing to increase, growing from an estimated 6,000 in 1993 to approximately 21,000 in 2014. In Hana, we have spent many afternoons watching them frolich from one of our Ocean Bungalow lanais. The unobstructed, panoramic view makes you feel like you’ve got VIP seating for whale watching. 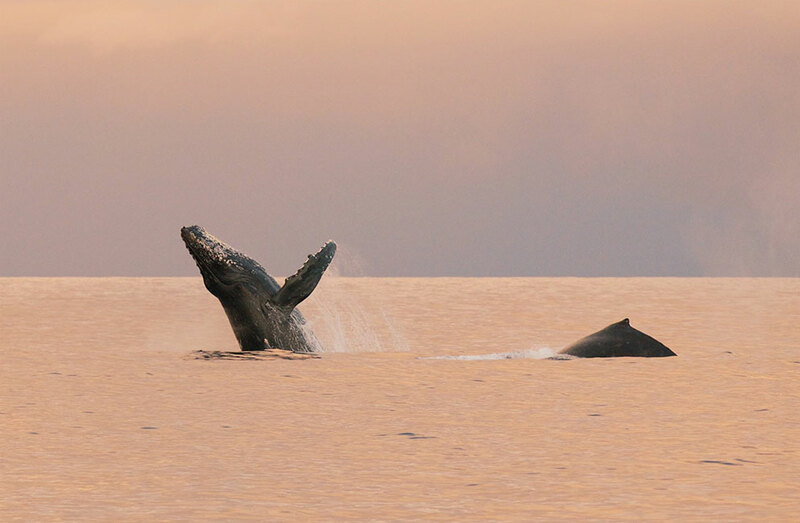 For more information on the North Pacific Humpback Whales and tips for watching them this season, visit our friends at Maui Whale Watching.